We’re often asked about which human foods are good to share pets. And while there are some foods out there that aren’t a great fit, there are actually many grains, fruits and veggies that are truly amazing and beneficial to our furry ones. Our favorites are superfoods, which are nutrient-rich and can help to improve your dog’s health. So if you like the idea of sharing a grocery list with your dog look no further. Here are 5 superfoods you can share with your pup. Lazhar Ichir, founder at Breeding Business (an ethical dog breeding blog), helped us to handpick the below 5 superfoods for a healthier dog from within. Quinoa is a vegetable source of complete proteins containing all nine essential amino acids. Quality quinoa grains are also a fantastic wheat-free alternative to processed carbohydrates unfortunately found in too many low-quality dog foods. The high-nutrient content offers high levels of calcium to solidify your dog’s bone structure, but also several B vitamins and dietary fiber. 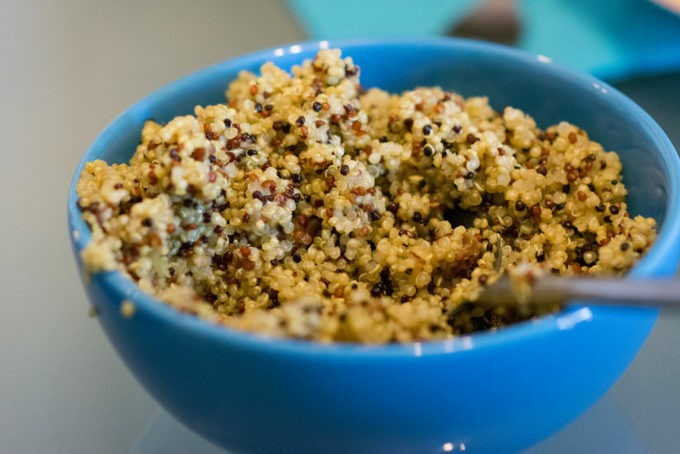 Quinoa offers lysine, an essential component for tissue growth and repair. Try a small scoop of quinoa with your dog, or try our Vital Whole Blends Senior Mix made with quinoa and other superfood ingredients as a topper. Blueberries have been a longstanding super fruit. These amazing berries are loaded with bioactive components ranging from powerful antioxidants, polyphenols, vitamin C, and vitamin K.
All of these active nutrients can help to protect your dog from memory loss, aging, hypertension, and obesity. 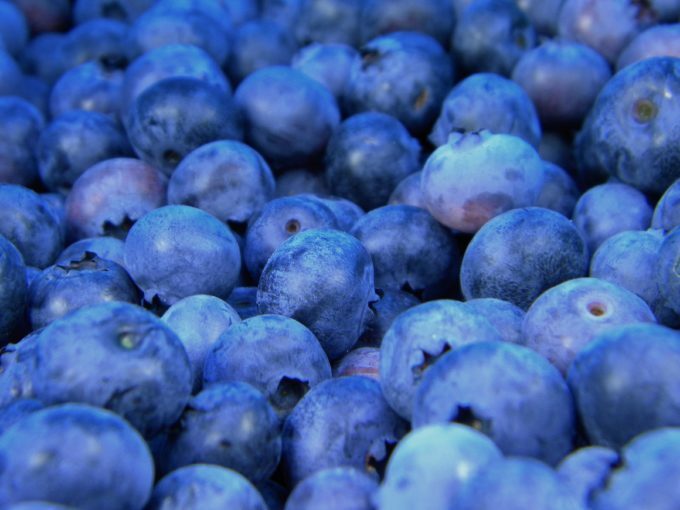 Blueberries are low-calorie, around 50 calories for 50 berries, making them a perfect training treat. You’ll also find blueberries in some Freshpet refrigerated recipes like our Vital Beef and Bison roll. Sweet potatoes are high in fiber. As we know fiber plays an important role in slowing the breakdown carbohydrates, helping with blood sugar control. Fiber also maintains the right balance of bacterias, primarily in your dog’s the large intestine. On top of that, sweet potatoes are filling and delicious to dogs! There won’t be any struggle to get them to eat it: mashed, diced, whole, steamed – the possibilities are endless. Also the high level of beta-carotene found in sweet potatoes helps to reduce the risk of several cancers, and boost your dog’s heart disease protection. Oh and sweet potatoes are wonderful dehydrated as dog treats, they are cost-effective, yummy, natural and long-lasting! If you’re looking for an easy way to incorporate sweet potato regularly, try this Vital Pure dog food recipe. As a deliciously crunchy leafy vegetable, Kale is a fantastic source of vitamins A and K while also offering a huge amount of antioxidants. These will help cleanse your dog’s digestive system and shield their body from potential damages caused by free radicals. Its anti-inflammatory properties make it a wonderful addition for older dogs suffering from arthritis or joint pain. Dogs also love Kale’s leafy and crunchy texture! You dog may also love our Nature’s Fresh Raw Chicken and Kale recipe. For dogs on a diet, spinach is a wonderful ingredient to add to their food. 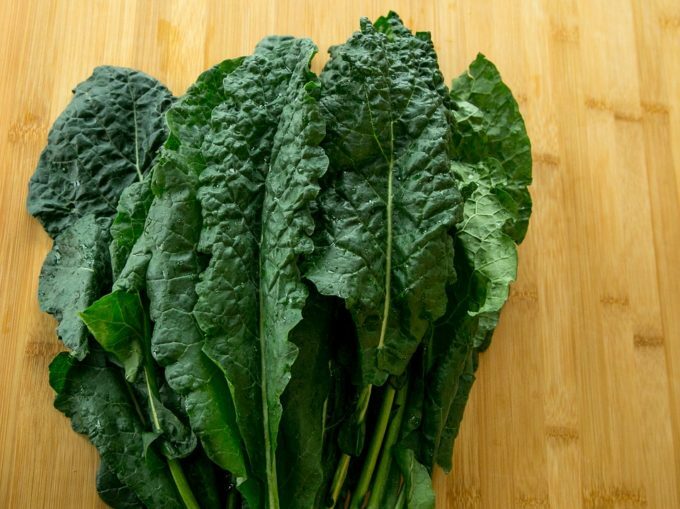 It is a versatile low-calorie leafy green packed with nutrients. Use it raw or steamed to provide your pooch with flavonoids. Popeye may have figured it all out before us. Studies also have hinted that a regular portion of spinach helps with maintaining mental clarity and cognitive brain functions. 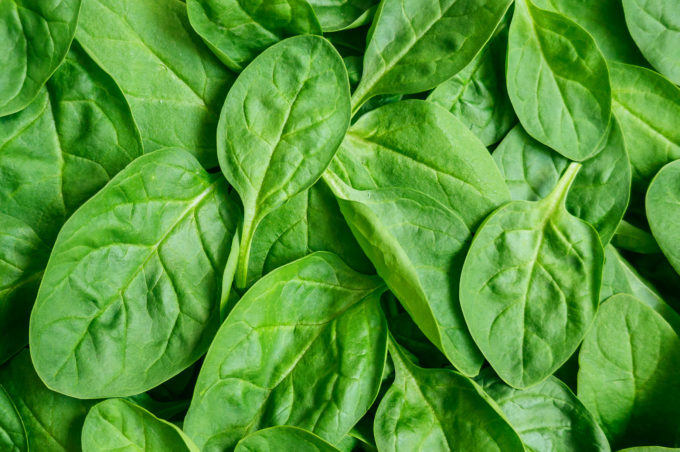 Spinach also offers high levels of iron, potassium, manganese while providing a wide-range of vitamins A, C, B and K.
You can find spinach in many wholesome Freshpet Select recipes here. Most superfoods for dogs are equally as nutritious for humans, so both of you can share! However, dogs can have a more sensitive stomach so make sure you introduce any new ingredient gradually to avoid an upset tummy. You can choose some to be used as treats while having the others mixed up in your companion’s long-term meal plan.